Self-catering apartment/cottage (66sqm) in a quiet residential area suitable for business or holiday traveller. Accommodates two guests privately plus one semi-private in one double bedroom and one open plan. Sitting room, dining room open plan. DVD/USB player with Monitor. Kitchen with breakfast nook, fridge, microwave, built in oven and hob, coffee maker, kettle and toaster. Shower, toilet and basin (no bath). Off-street, undercover and secure parking. 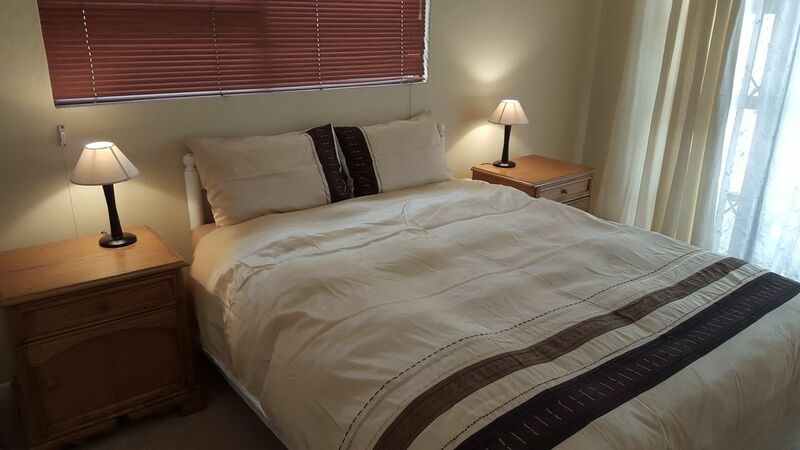 Centrally situated in Ridgeworth within walking distance of Tyger Valley. Close to Willowbridge, and local restaurants as well as businesses in and around Tygervalley area (i.e. Sanlam, Santam, Metropolitan Head Offices, Tyger Waterfront, USB Campus, Gyms and Durbanville wine route. Within 20 minutes of Airport and 30 minutes of beaches and Cape Town CBD. Off street, undercover and secure. Scenic wine route within 10 minute drive. Restaurants, shopping, gym/fitness center and parks within walking distance or short drive.